Before I viewed this BBC Schools production of Shakespeare’s political drama, my (uninformed) sense was that such dramas made specifically for classroom viewing were under-funded and by and large unimaginative. But that is far from the case with this intelligent, pacey, handsomely shot modern dress production. 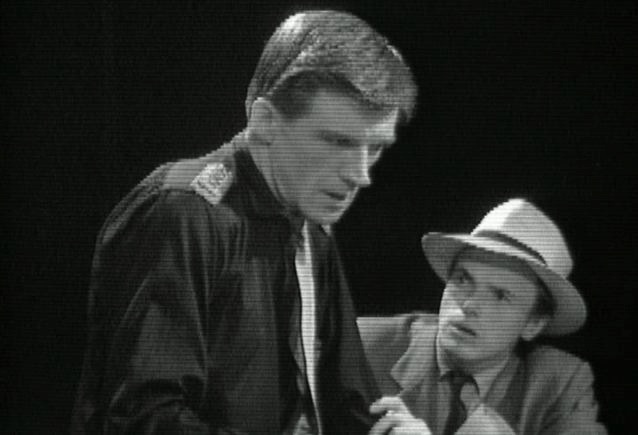 Indeed, Ronald Eyre’s 1960 screen version achieves an impact greater than either the BBC’s comparatively conventional studio production in togas of the previous year or the 1964 outside broadcast of the National Youth Theatre’s ‘teddy boy’ Julius Caesar. Michael Croft’s NYT production was also first presented on stage in 1960, and so it is impossible to disentangle now whether that influenced this production. Certainly there are similarities, including the strong suggestions of a Fascist state and a populus that is predominantly young and mouthy. 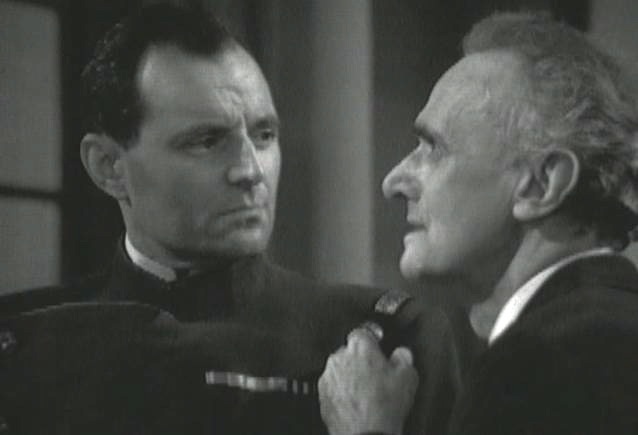 But the acting here – most notably John Laurie as Cassius – is far superior, and the intimacy with the characters that the studio cameras can create makes this far more involving than the OB recording recorded over three years later. The image quality of the existing film telerecording is also far sharper, with a much broader contrast range than the rather dim and gray trace of the NYT show that I have seen. Producer Ronald Eyre is a significant figure whose career in both television and the theatre needs deserves more profile than it perhaps currently has. According to Matthew Francis’ admiring Oxford Dictionary of National Biography entry, Eyre was born in 1929. He made his mark in student drama at Oxford, became an English teacher and then joined the BBC in 1956 as a founding director of BBC Schools Television. His productions of classic dramas for schools included Philoctetes and The Bacchae (1961-62, both discussed in a Screen Plays post by Amanda Wrigley) and The Caucasian Chalk Circle. In an obituary in The Times Michael Marland wrote, ‘he was a pioneering and brilliant figure in bringing the study of television as a dramatic art form into the country’s classrooms’. (23 April 1992). 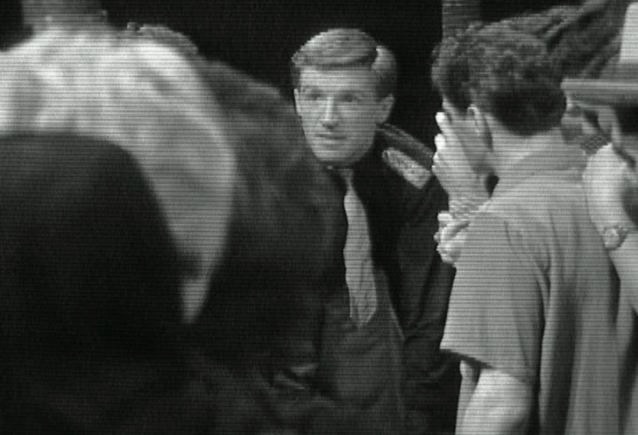 In the early 1960s Eyre moved across to directing drama for mainstream television, as well as contributing scripts for Z Cars and some twelve single plays for radio and the small screen. In the late 1960s and ’70s he was also notably successful as a theatre director, including for the RSC and in London’s West End. After a disappointing Othello in 1979, however, he was apparently suspicious of once again taking on Shakespeare (a live sound recording of the production is available in the British Library Sound Archive). He also made his mark on screen, most especially writing and presenting the distinguished BBC2 series of documentaries The Long Search (1977) about man’s spiritual quest. Nearly twenty years before Othello, Julius Caesar shows him absolutely in control of Shakespeare, with the text cut to fit a total playing time of two hours, convincingly naturalistic playing from a committed cast and numerous imaginative touches. The overall setting is a modern totalitarian state; we might be in Fascist Italy – and certainly the salutes suggest this – but the closing battle scenes echo World War Two movies of the 1950s with the allies (Brutus and Cassius, obviously) fighting against the Germans. There are a number of sequences shot on film outside the studio, including the exchange early on when Caesar (Ralph Michael) expresses his concern about Cassius to Mark Antony (James Maxwell). This begins in the back seat of a limousine and then continues as the characters walk together down a corridor in Osterley Park House. Then as the conspiracy comes together, the action moves indoors, and into the television studio. Eyre is clearly conscious of how hard it is to create convincing studio exteriors on a limited budget, and so Brutus’ orchard becomes a sitting-room and Portia (Ellen McIntosh) pleads with her husband in their bedroom. The assassination scene begins in Caesar’s council chamber, but when Casca stabs him he pushes out of the group of murderers and falls through a pair of doors as if on to an outside balcony. We hear an unseen cheering crowd below who then fall silent as Brutus slowly and deliberately thrusts his knife into the uncomprehending leader. Part two of the four closes after Mark Antony’s speech over Caesar’s body and the arrival of Octavius’ servant. The third half-hour episode of four, which were first screened weekly through November 1960, takes the play from the Forum through to the revelation of Portia’s death near the end of the tent scene. The Forum crowd is largely young, casually dressed, rough and raw. Mark Antony has to quell their noise with ‘Friends, Romans, countrymen’, which almost gets lost in the tumult. Throughout, the production sustains a driving energy, and the crucial exchange between Cassius and Brutus in the bunker-like headquarters of the latter shifts from anger to frustration to regret in a manner that would be the envy of many more mainstream productions. 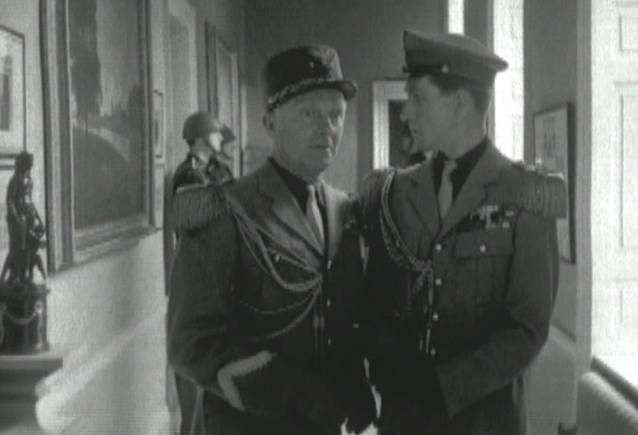 Michael Goodliffe is impressive as Brutus – and there is a delightful website here by Jonathan Goodliffe about Michael’s career, especially in war films – memories of which are consciously played with here. But it is John Laurie’s Cassius who steals the film – waspish, canny, street-smart, strongly Scottish and ultimately undone by his respect for a Brutus who is clearly several rungs above him on the social ladder. Should you need a reminder that the man recalled now as Private Frazer in Dad’s Army was a distinguished actor for the stage and films, here indeed it is. To sensibilities now, however, it is entirely incongruous that in parts three and four Pindarus is played by the white actor Richard Coe in blackface, a turban and with an accent that is perhaps meant to be Indian. Shakespeare has Cassius say that he took Pindarus prisoner and made him his slave in Parthia, an area in what is now north-eastern Iran. The idea of playing Pindarus as a black character is a strong one, but the execution here is clumsy and offensive. Despite this misjudgement, the production’s smart touches are sustained to the end, with the parlay between the opposing forces conducted by radio link and Pindarus using a revolver to assist Cassius to his willed death. Perhaps it is in the integration of the filmed battle scenes with the closing exchanges shot in the studio that the constraints of the modest resources are most noticeable, but overall this schools production most definitely deserves to be marked B+(+) and perhaps even A-. This sounds really interesting, John. Thanks for the post, and I’m really looking forward to seeing the production now! I was very interested in this feature as this may be Michael Goodliffe’s only Shakepearean performance on screen. How would I go about seeing it. Will it appear on TV? Many thanks for your comment, Jonathan. 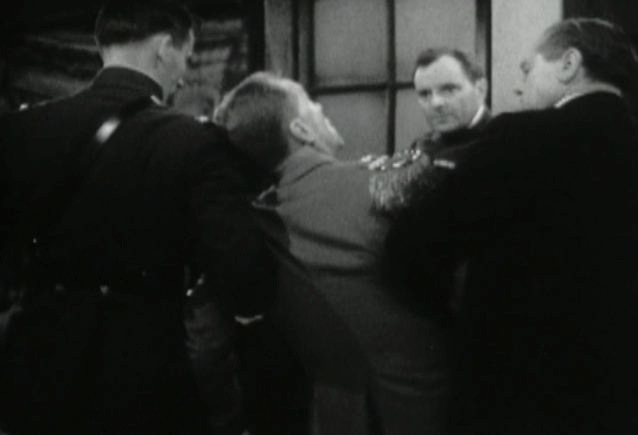 I doubt that this Julius Caesar will ever appear again on television, and I fear it is exceptionally difficult to view productions like this – we are only able to do so under strict terms which prevent us from sharing copies in any way. It may be that the BFI National Archive has a viewing copy; can I suggest that that is the best place to start? I’m sorry I cannot be more helpful.